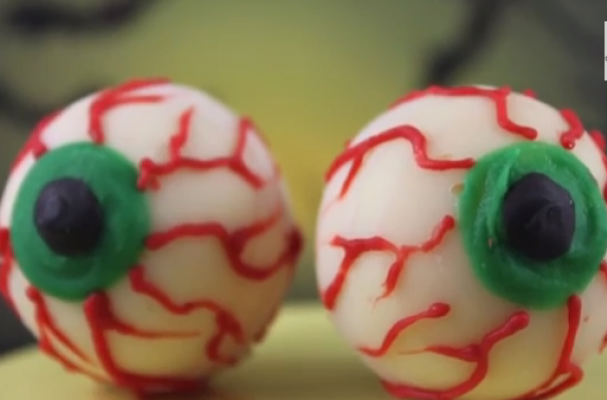 These candy eyeballs are a gruesome Halloween treat. Each eyeball is filled with a "bloody" surprise. Find out by watching the video below.